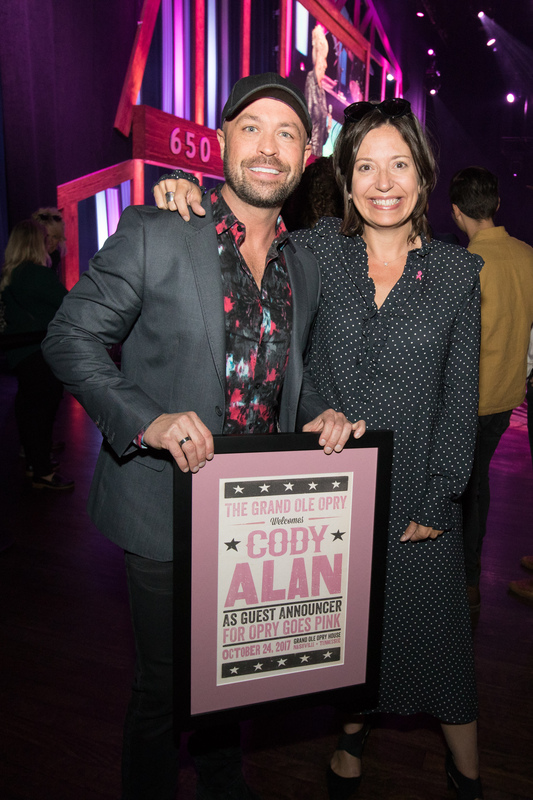 The Grand Ole Opry barn turned pink to help in the fight against breast cancer for the ninth year last night (Oct. 24), as the Opry partnered with Women Rock For The Cure for its special annual “Opry Goes Pink” show. 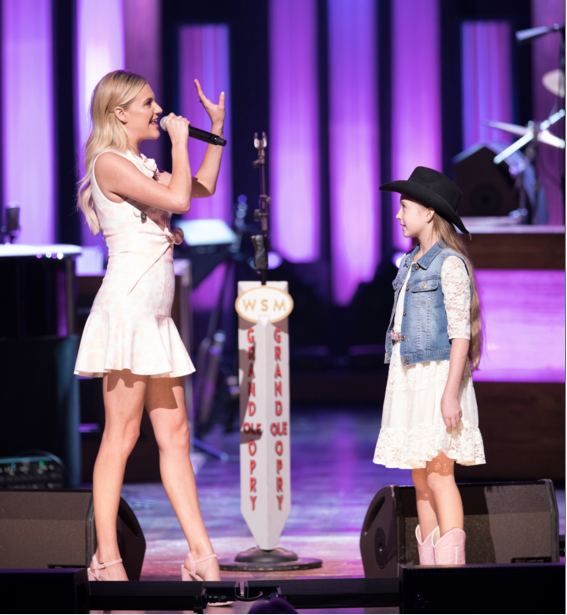 Kelsea Ballerini and ten-year-old cancer survivor Chrissy flipped the switch making the Opry’s signature barn Pink, and Opry member Trisha Yearwood performed and introduced Chrissy as this year’s Women Rock for the Cure “Opry Goes Pink” honorary survivor, symbolizing individual battles being won against the disease. Chrissy, who at age eight was the youngest person ever to be diagnosed with breast cancer, is now cancer-free. She was joined on stage by her older sister as well as her parents, both of whom are also cancer survivors. Additional performances during the special evening included LANCO, who made their Opry debut, Easton Corbin, Charles Esten, Runaway June, and Connie Smith. CMT’s Cody Alan made his debut as an Opry guest announcer during the show as well. The Opry is donating $5 from each ticket sold to Women Rock For The Cure.